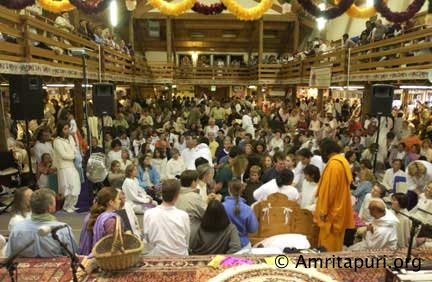 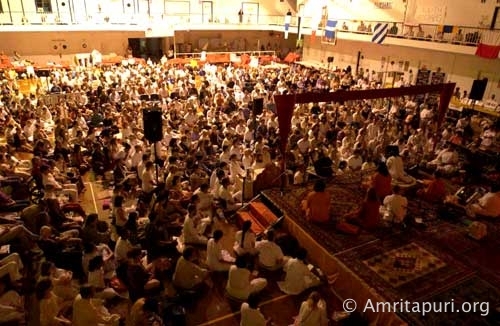 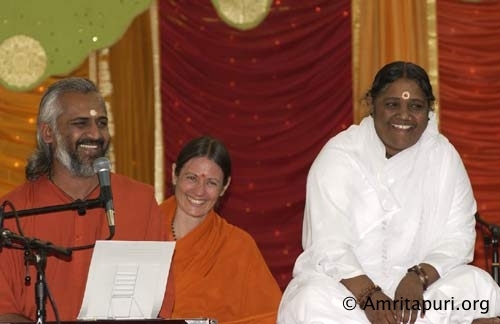 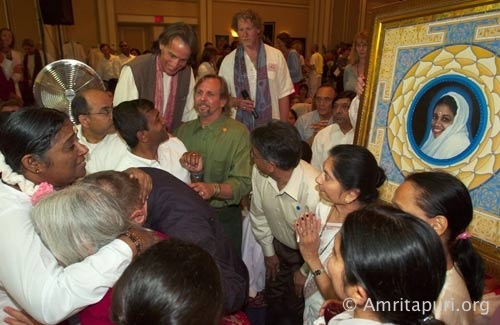 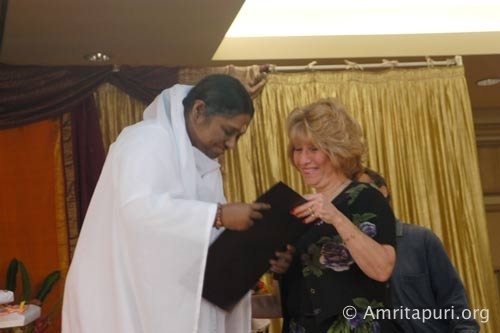 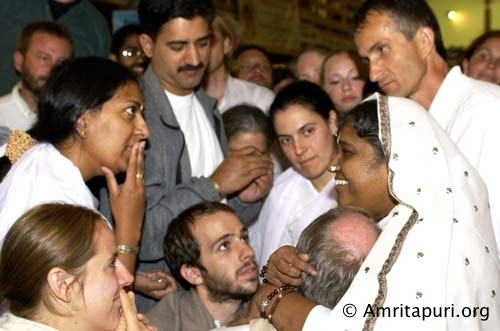 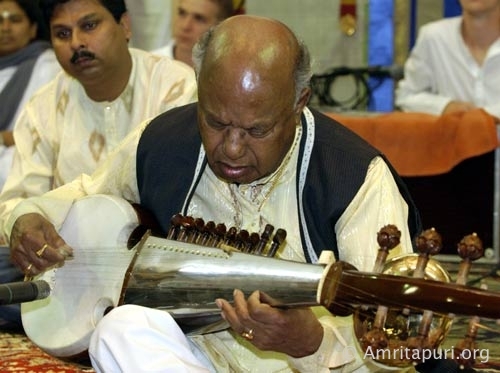 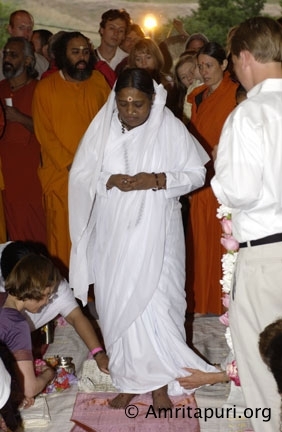 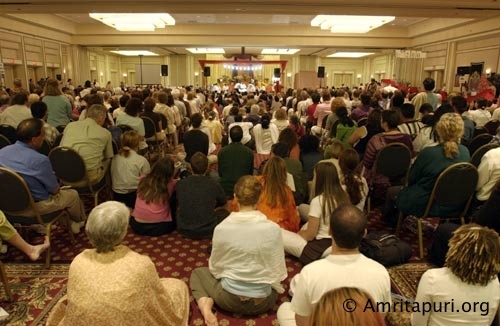 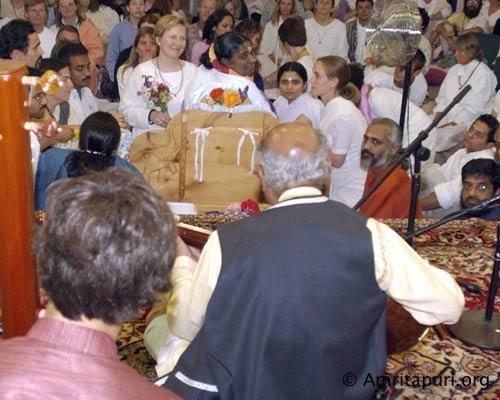 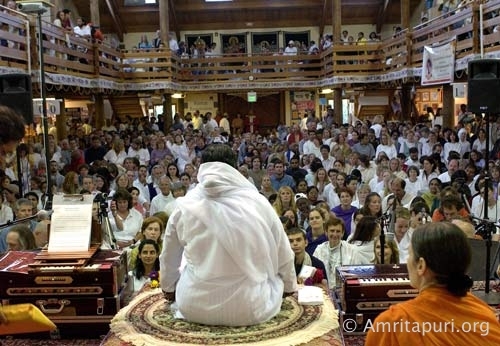 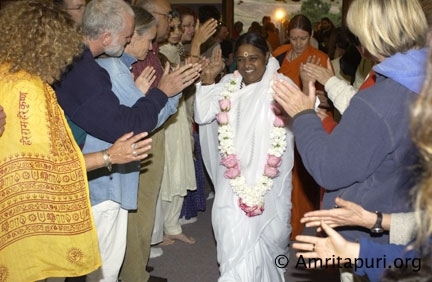 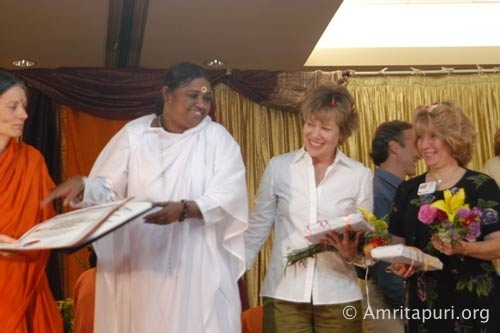 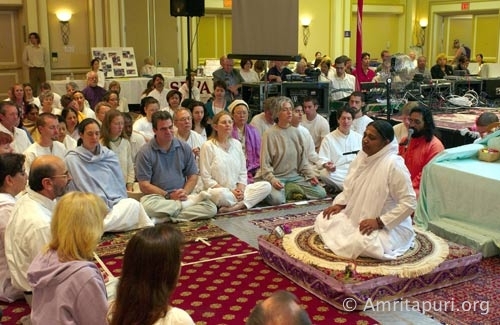 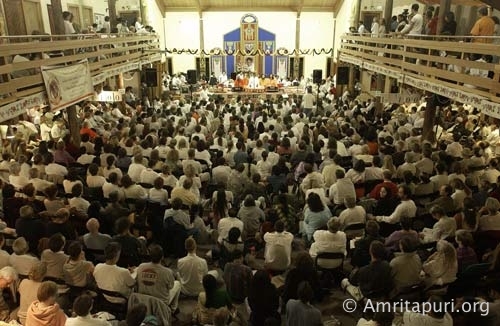 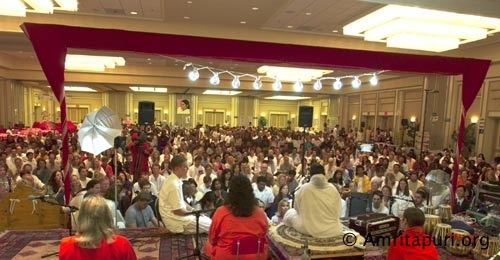 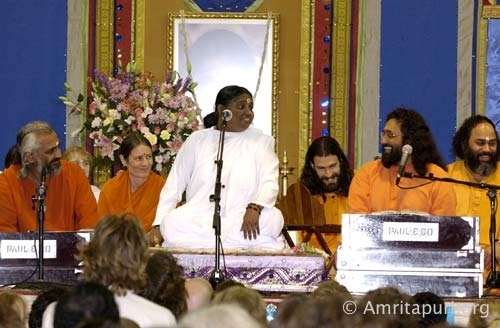 Amma visited San Ramon in the summer of 2003. 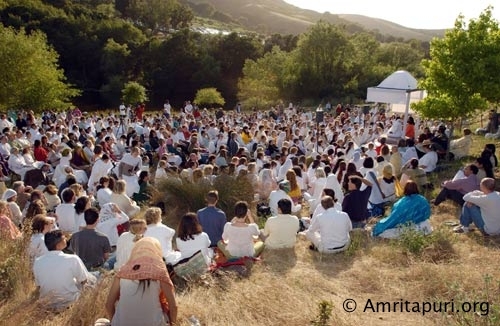 Outdoor meditation with Amma was started early Morning. 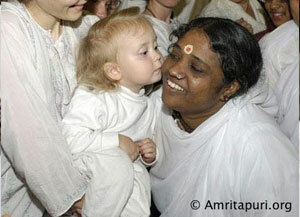 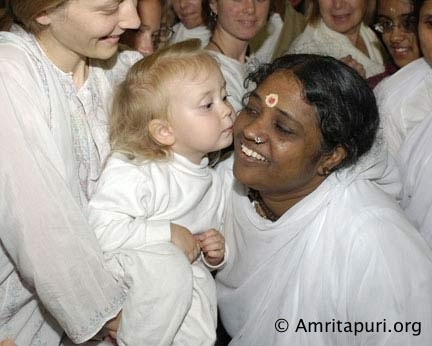 Amma’s Satsang was there before her darshan followed by babies for their first meal from Amma.